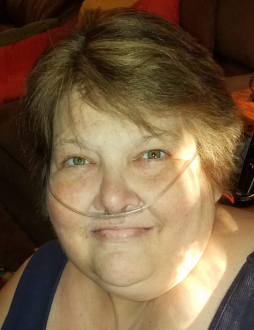 Beth Ann Cupp, 53, passed away on November 26, 2018, after a well-fought battle with cancer. She was born April 20, 1965, in Akron. Beth worked as an LPN at Copley Health Center. She was a 1983 graduate of Norton High School and received her LPN degree from Lorain County Community College. She enjoyed reading and spending time with her family and her beloved cats. Beth was preceded in death by her grandmother, Rose Caipen; brother, Jack “Pete” Thompson; in-laws, Doyle and Gretchen Cupp; brother-in-law, Mark Goble. She is survived by her husband of 34 years, David; daughters, Rebecca (Dan) Bishop, Cassandra Cupp; parents, Jack and Rose Thompson; grandfather, William Caipen; sisters, Diane (Don) Brown, Jennie Goble; sister-in-law, Kim Thompson; grandchildren, Jordan and Jayciere. Friends may call at Bacher Funeral Home, 3250 Greenwich Rd. on December 3, 2018, from 4-6 p.m., where services will be held at 6 p.m. Pastors Don & Karen Upson officiating. In lieu of flowers, donations may be made to Stewart’s Caring Place, 955 W Market St. Suite R, Akron, OH 44333, in memory of Beth.